PLAY-GROUND | gURROO - A new generation of innovative minds. 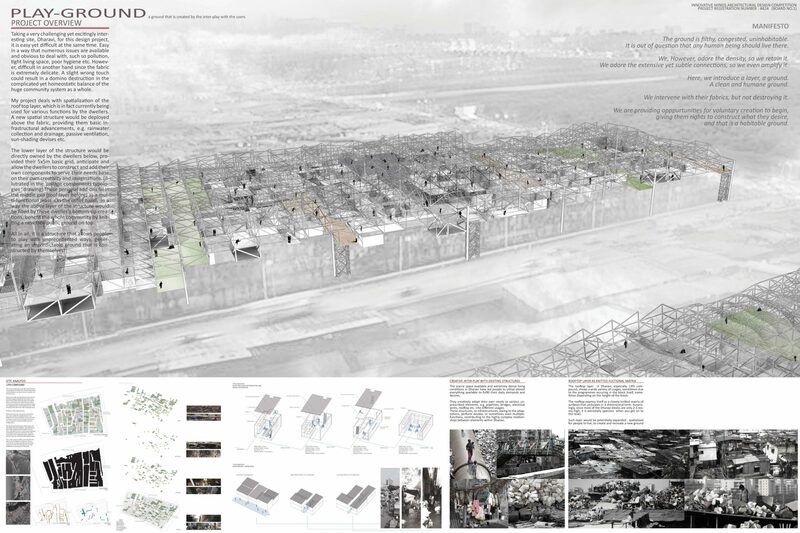 Taking a very challenging yet excitingly interesting site, Dharavi (Mumbai, India), for this design project, it is easy yet difficult at the same time. Easy in a way that numerous issues are available and obvious to deal with, such so pollution, tight living space, poor hygiene etc. However, it is difficult on another hand since the fabric is extremely delicate. A slight wrong touch could result in a domino destruction in the complicated yet homeostatic balance of the huge community system as a whole. My project deals with spatialization of the roof top layer, which is in fact currently being used for various functions by the dwellers. 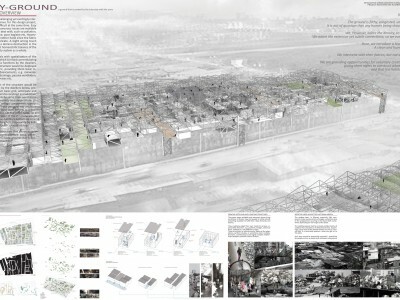 A new spatial structure would be deployed above the fabric, providing them basic infrastructural advancements, e.g. rainwater collection and drainage, passive ventilation, sun-shading devises etc. 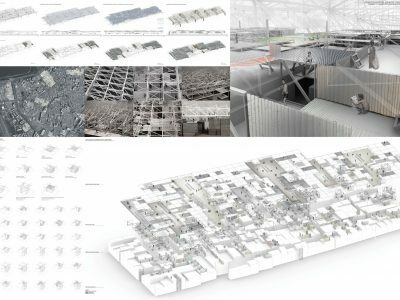 The lower layer of the structure would be directly owned by the dwellers below, provided their 5x5m basic grid, anticipate and allow the dwellers to construct and add their own components to serve their needs base on their own creativity and imaginations. 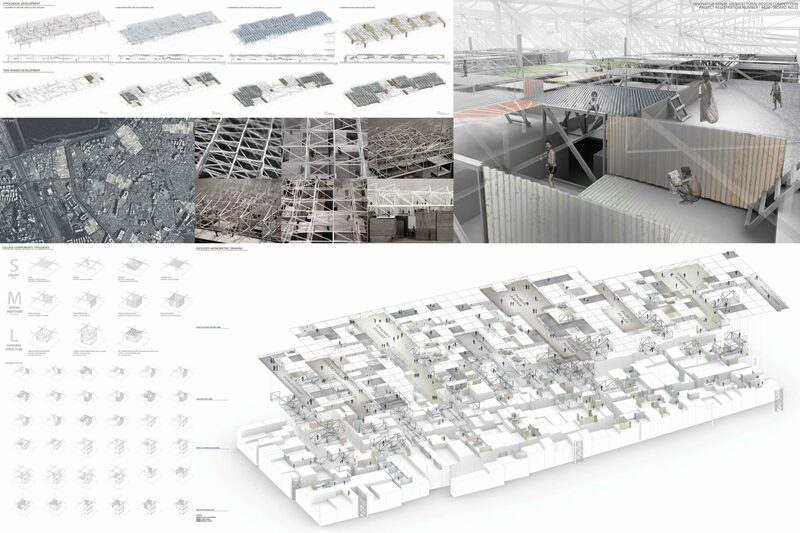 (illutrated in the ‘collage components typologies ‘ drawing) These personal add-ons fill in the middle gap (roof layer before) as a multi-functional mass. On the other hand, in a way the above layer of the structure would be filled by these dweller’s bottom-up creations, benefit the whole community by knitting a new free public ground on top. All in all, it is a structure that allows people to play with unprecedented ways, generating an unpredictable ground that is constructed by themselves!